Bursting onto the scene in 2018, Dream Vegas promised players all the glitz and glamour of America’s casino capital from the comfort of their own homes. Operated by White Hat Gaming, an industry leader responsible for such great sites as Casimba and Miami Dice, this hot newcomer to the online gambling world is certainly living up to expectations, offering customers an attractive website, a massive welcome package and an endless array of top class games. Luckily for punters, Dream Vegas is certified and regulated by both the UK and the Maltese Gaming Authority, meaning peace of mind plus more availability for players from across the globe. This accessibility is reinforced by the site’s various language options, currencies and payment methods. Dream Vegas supports numerous software providers, from such gaming giants as NetEnt and Microgaming to lesser know yet equally worthy game developers. Aside from a huge variety of slots, the casino also provides a selection of live dealer tables powered by Evolution and NetEnt Live. To stand a chance in today’s fiercely competitive online world, companies need to be at the top of their game when it comes to mobile compatibility. More and more players are entering the action whilst on the go and casinos need to step up to the demand and deliver. Dream Vegas does just that. Their mobile and tablet platforms are exceptionally user-friendly and easy to navigate, and lose no appeal through compression. All games are available as Instant Play, so additional downloads are not required. A vast library of both video slots and tables games are on hand for gamers on the go and even live formats can be played via mobile to ensure the ultimate casino experience. Slick, smooth and sophisticated, the Dream Vegas website oozes that luxurious Vegas vibe, enticing players with the allure of big wins and top-notch entertainment. The site immediately focuses on their impressive welcome package before revealing a wealth of games to suit every taste and budget. Selecting your preferred title is simple and the option to browse through games based on their developer is a nice touch. Exploring the website in general is easy and everything works as it should, both on desktop and mobile platforms. Dream Vegas also delivers with its 24/7 live chat support service and VIP programme, which aims to keep customers content with special promotions and privileges. Perhaps Dream Vegas’s biggest plus point is its selection of games, with hundreds of titles to choose from catering to every preference imaginable. Famous names in the slot world, such as Starburst, Guns ‘n Roses and Gonzo’s Quest, combine with equally celebrated progressive jackpot hits, including Mega Fortune, to keep fans amused for hours. New games are constantly being added too to ensure the utmost variety. Traditional and well known casino favourites like Hold’em, Baccarat and Blackjack are of course available too, alongside a decent assortment of Scratch and Fun games for players seeking a quick fix. Dream Vegas certainly excels in its live gaming possibilities, with plenty of options for experiencing tables with real life dealers in an authentic casino environment. Aside from its impressive games catalogue and lineup, Dream Vegas shines with its pretty hefty welcome package. Naturally, terms and conditions apply, as do wagering requirements so make sure to read the small print. Existing customers are also entitled to various promotions to keep them coming back for more, which currently comprise of cash jackpots or the chance to take home a brand-new Range Rover. As with all respected online casinos, Dream Vegas provides clients with a 24/7 live chat service. This round the clock availability does wonders for their reputation as customers are able to resolve their queries without delay. Punters with less pressing questions can also contact the company via email. 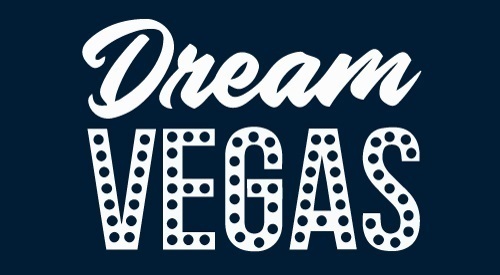 Dream Vegas uses the highest level of encryption software to guarantee your money is in safe hands and supplies ample options for payment, with all major methods accepted, including VISA, Mastercard, Skrill, etc. However, the casino has received slight criticism over its lengthy payouts, compounded by the 48-hour pending time on winnings, which pale in comparison to competitors. Despite its relatively recent emergence to the online gambling scene, Dream Vegas benefits from bags of experience from the team at White Hat Gaming. It is this expert knowledge that has already propelled Dream Vegas to successful heights, winning over enthusiasts with a sound website, an excellent assortment of games, a dedicated support system and seamless mobile play. To top it all off, that colossal welcome package has certainly turned heads aplenty, offering ample opportunity to hit big amongst the high rollers of the Las Vegas elite.